Do you live in Ohio or Pennsylvania and need the help of facility decontamination services? If so, then you’re in luck, because SafeAir Contractors, Inc. specialize in facility decontamination services! What Exactly Is Facility Decontamination? Facility decontamination is the process of decontaminating an area from contaminating substances in order to render it “safe”. When referring specifically to “facility decontamination” we are talking about institutions like hospitals that have this need for decontamination. Decontaminating a facility involves both hazardous waste clean-up as well as transport and disposal of that waste after it has been cleaned up. How Is a Facility Decontaminated? 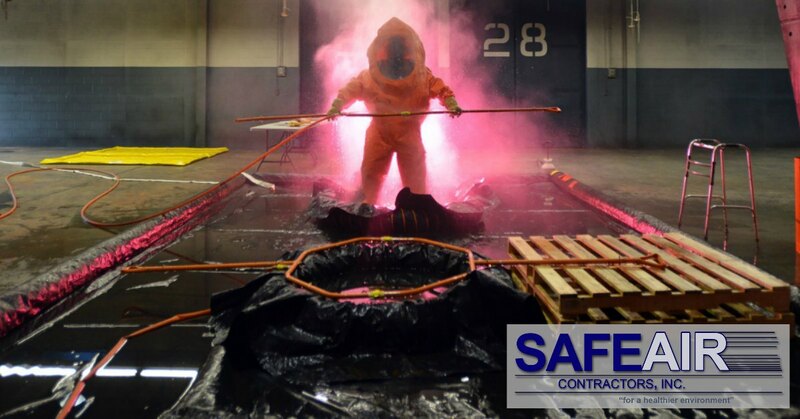 When SafeAir, Inc. arrives at a contaminated facility, the first step is determining the scope of the job at hand. This means looking at the extent of contamination that has taken place, the type of contamination that has taken place and formulating a plan of action. This plan may involve a variety of decontamination methods including the use of air jets, evaporation vaporization, scraping, scrubbing, the use of steam, pressure washing, oxidation and reduction, and thermal degradation. The plan of action is crucial because it allows you to discover the most efficient method of facility decontamination while containing as much of the contaminants as possible. Once a plan of action has been created, fully licensed and trained professionals will begin the decontamination and clean-up process. During this time, you will be asked to vacate the building if you have not already. This step is taken to ensure that lives are not put at risk of further exposure to contaminants. This also allows our technicians to have full control over the environment as they are working. Are Facility Decontamination Services Dangerous? Like any situation where hazardous materials are being handled, there is a risk that comes with facility decontamination. Therefore, it is always crucial to ensure that the facility decontamination services you use only employs fully trained and licensed professionals. Even with plenty of training and experience, it is possible for things to go wrong sometimes, so always choose the most qualified and experienced company for the job! Now, as far as whether facility decontamination services are dangerous to you…what is your alternative? If you are calling a company like SafeAir, Inc. then you are already faced with contamination concerns. This contamination can be dangerous, so while you may feel that you are “risking” things with facility decontamination services, you are risking them even more by leaving things as they are! When a licensed decontamination company shows up at your facility to provide their services, you might wonder where the contaminants are going to end up. The truth is that it depends on the type of contaminant you are facing. Each specific type of contaminant has its own decontamination and removal techniques. These techniques are established and regulated by OSHA (the Occupation Safety and Health Administration). For some instances, decontamination simply involves the “inactivation” of a contaminant by rendering it ineffective with something like steam. In other instances, contaminants are removed, contained in special containers and “destroyed”. Technically, this “destruction” can mean anything from incineration to burying it in a landfill! 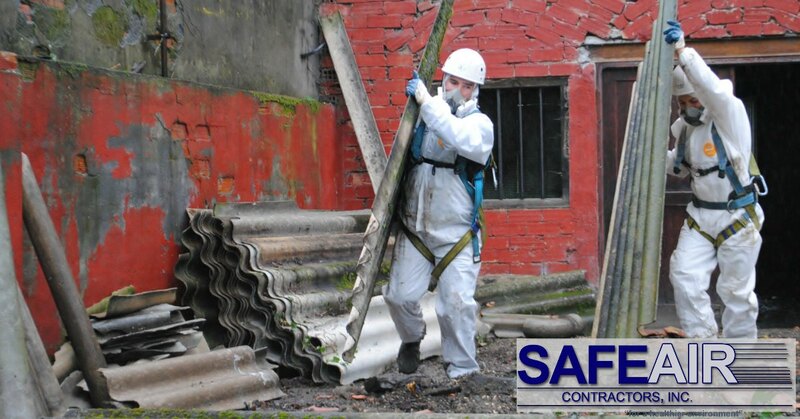 However a company decontaminates a facility and renders it safe, it is imperative that you ALWAYS select a licensed reputable company like SafeAir Contractors, Inc. to service you.